Taking the steps to become a women’s health nurse will help you specialize in caring for female patients and addressing key reproductive system issues from menarche through menopause. Women’s health nurses are licensed RNs who provide nursing services that treat and prevent illnesses unique to women. Women’s health nurses may assess patients presenting female-specific problems, including sexually transmitted diseases, infertility, pregnancy, childbirth, or menstruation, according to the Association of Women’s Health, Obstetric and Neonatal Nurses. Some typical daily duties are taking medical histories, administering medicine, setting up treatment plans, recording observations, consulting with physicians, operating testing equipment, and educating patients on disease prevention. If you’re interested in focusing on the feminine patient population, below is a step-by-step guide to become a women’s health nurse. Nursing (BSN) required. Attending a four-year college or university is wise for extra clinical rotations and areas of specialization. If possible, take elective coursework specifically related to reproductive healthcare, women’s health, pharmacology, female anatomy, maternal care, and prenatal development. Once you’ve graduated, you’ll need to obtain valid RN licensure through your state’s board of nursing. Requirements vary from state to state, but most will require an approved nursing degree, clinical experience, and a passing National Council Licensure Examination (NCLEX-RN) score. As an RN, you should begin building your resume with relevant experience in women’s health nursing. Women’s health nurses can find jobs in hospitals, community clinics, OB/GYN offices, family planning agencies, public health institutes, outpatient surgery centers, and other private practices. Having one to two years of experience is desirable for the next step. Women’s health nurses can make themselves stand out for improved job prospects by pursuing professional certification in this specialized niche. Through the National Certification Corporation (NCC), licensed RNs can become certified as a Reproductive Endocrinology/Infertility Nurse, Ambulatory Women’s Health Care Nurse, or High Risk Obstetric Nurse. Applicants must have a minimum of 2,000 hours specialty experience and pass a certification exam. Exams can be completed via computer at 250 test centers across the United States. If you pass the two-hour exam, you’ll have added qualifications for women’s health nursing. Although it’s not required, women’s health nurses may want to consider attending a graduate school accredited by the CCNE or ACEN. Earning a Master of Science in Nursing (MSN) can expand your leadership opportunities in becoming a Women’s Health Nurse Practitioner (WHNP). Nurse practitioners are independent primary care providers who care for patients with little or no supervision from physicians. RNs with only an associate’s degree could benefit from an accelerated RN-to-MSN program. The Bureau of Labor Statistics reports that WHNPs bring home a sizable annual average salary of $97,990. Overall, women’s health nurses can be found delivering female-focused healthcare in virtually any healthcare setting where women seek medical treatment. It’s their duty to help women obtain optimal reproductive and gynecological health across the lifespan. 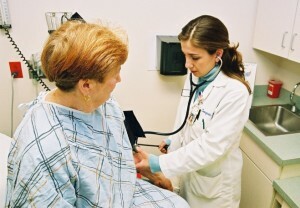 Follow the above steps to learn the unique health needs of women, receive licensure, and become a women’s health nurse.